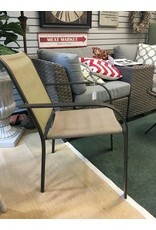 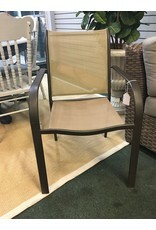 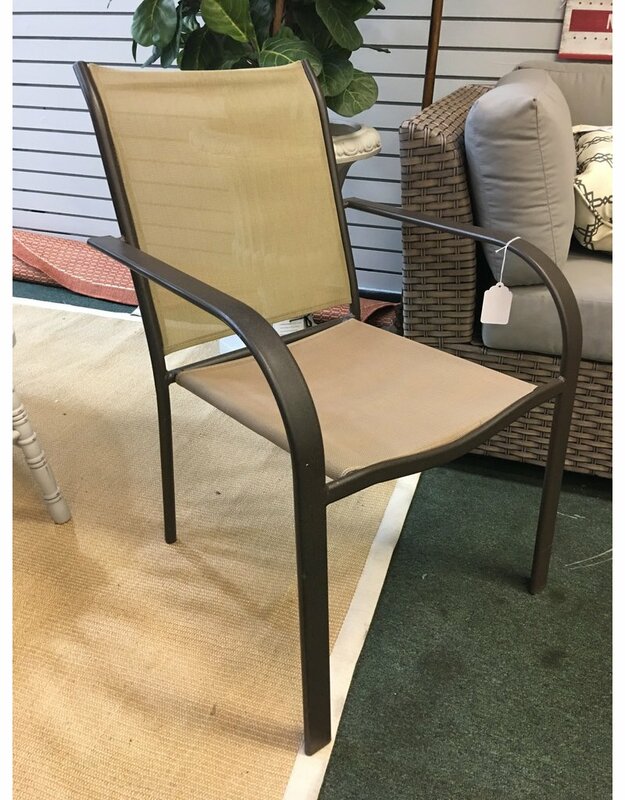 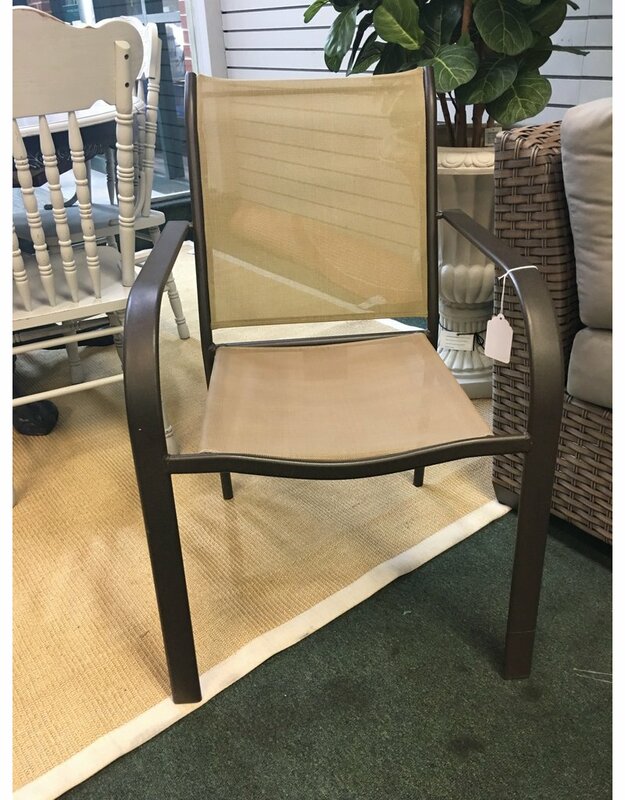 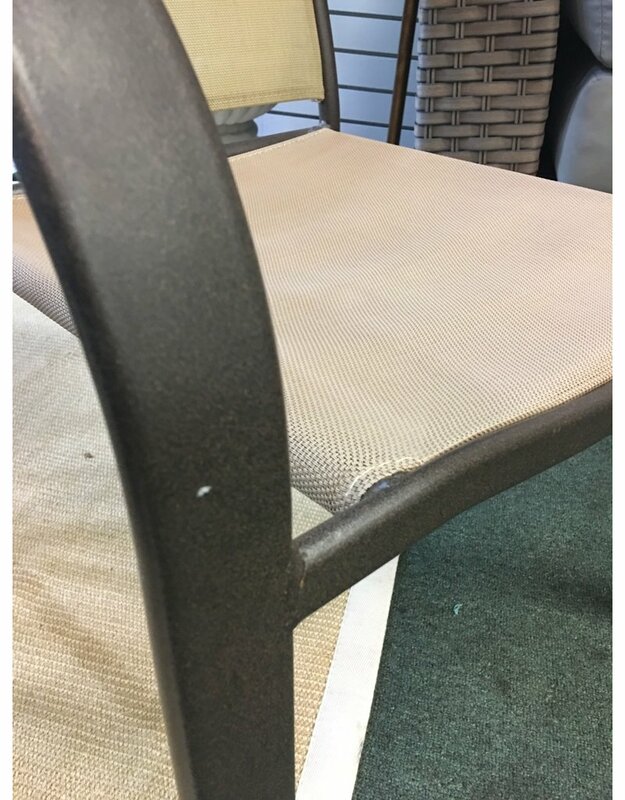 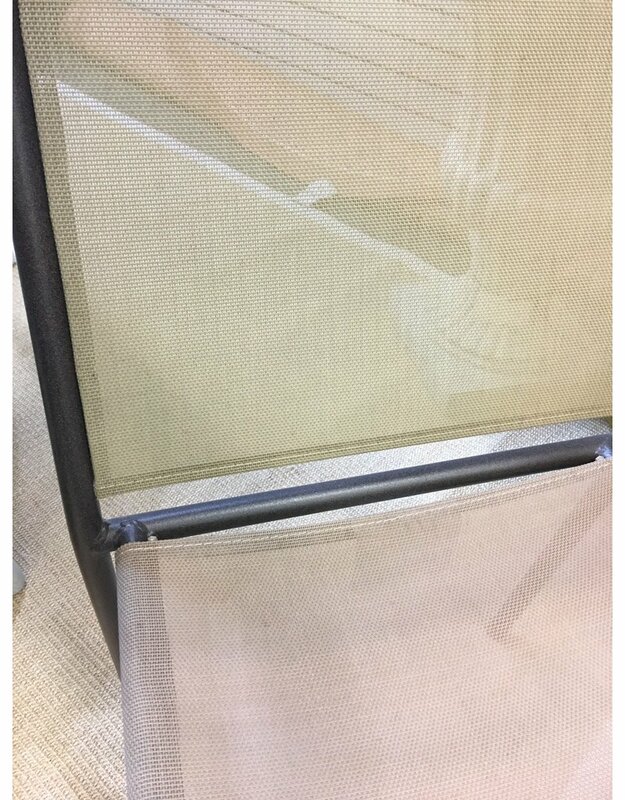 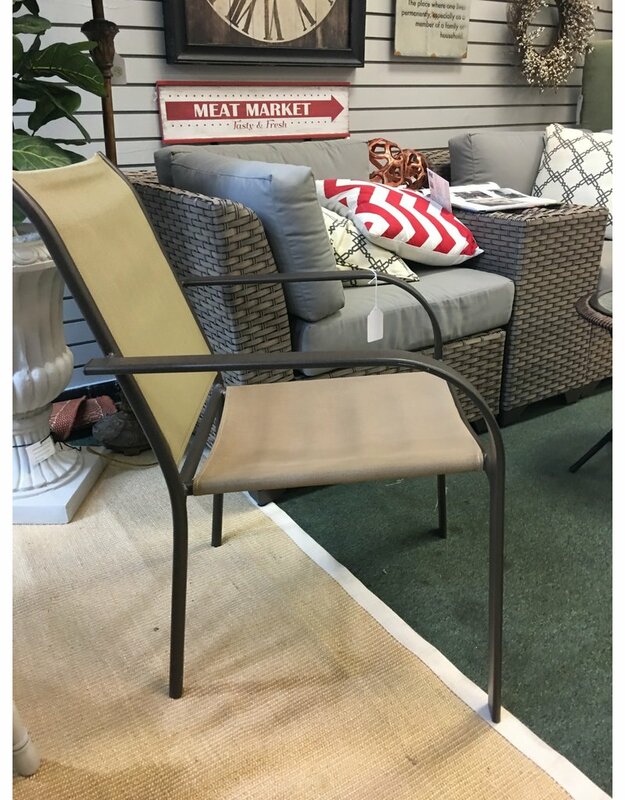 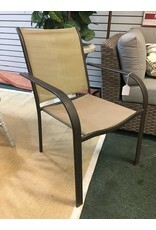 Lightly used rubbed bronze finished outdoor armchair featuring a powder coated aluminum frame and beige screen-like breathable polyester seat and back. 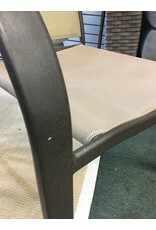 *Some sun bleaching/fading has caused color variation between seat and back. 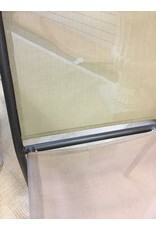 22.5" x 26" x 33.5"